The museum, located in the West Paddock at Miller Motorsports Park just east of the Off Road Short Course, houses an extensive collection of Toyota Land Cruisers that belong to Greg Miller, CEO of the Larry H. Miller Group of Companies. 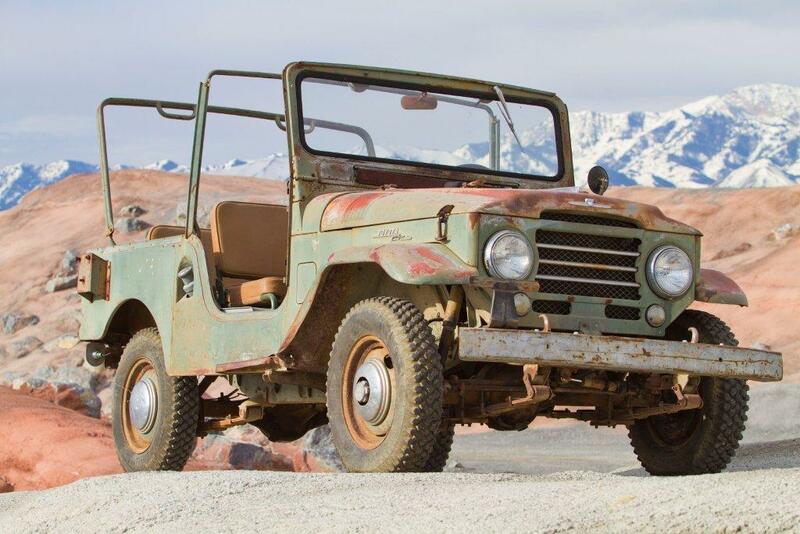 The Toyota Land Cruiser began development in 1951 as Toyota’s version of a Jeep-type vehicle and went into production in 1954. It has been produced in convertible, hardtop, station wagon and utility-truck versions and is the longest-running series in Toyota’s history. It is renowned globally as a go-anywhere, do-anything vehicle and enjoys iconic status in the world of off-road travel. The Land Cruiser Heritage Museum is intended to showcase the heritage of Land Cruisers, not one man’s love for Land Cruisers that is shared by many. The museum houses approximately 40 Cruisers, with displayed vehicles being rotated occasionally. The Cruisers on display range from a 1959 FJ25 to 2012 Toyota Land Cruiser VDJ78Rs that are being used for the Expeditions 7 global off-road adventure. Going forward, access to the museum will be by appointment only. Those interested should contact Tobie Warner at 801-563-4179.